“To get around the hassles and expense associated with Tier 4 engines, some yard tractor manufacturers went to gasoline engines, but those lacked the torque to get the job done. So, the operator’s choices were limited to an old diesel yard tractor with its associated maintenance and repair headaches, or a new tractor, with the emissions-related challenges. Orange EV’s 100% electric yard trucks do the same work as diesels but with zero emissions, no Tier 4 costs or downtime, and reduced operating costs. 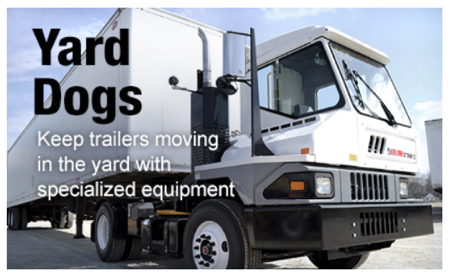 Fleets utilizing electric yard trucks are saving up to 90% net in fuel, an estimated 95% on brake maintenance, and 100% on engine and transmission-related powertrain maintenance.